Are you Prepared for your Wheelchair Assessment? 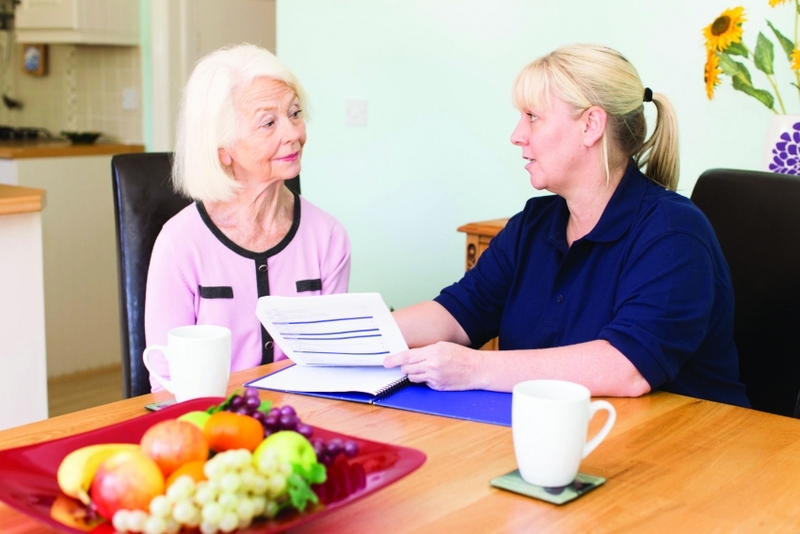 Are you Prepared for your Wheelchair Assessment? What Questions to Ask, What Information to Provide! While many therapists and wheelchair clinics have designed their own wheelchair evaluation forms, there is no standardized assessment or procurement process for wheelchair provision. Generally, most will agree to the essential elements of a wheelchair assessment. End users such as yourselves may have no or limited experience in determining the best choice of wheelchairs to meet your needs. And that is ok! While your goals and expectations should drive the decision, you often need to rely on the knowledge of the OT or PT specialist in seating and mobility, rehabilitation engineer, biomedical engineer, medic, and/or dealer. Of course you may able want to have your caregiver/s or family members there as well. Learning to advocate for your own needs is one of the biggest challenges you can face. But be encouraged to speak up and ask questions if you don’t understand or you are not convinced of what is being suggested for you. 1 Do you know what questions to ask? The wheelchair assessment should include a wide range of elements, be client specific, and reflect a client-centered process. This is where you come in! Are you prepared for your wheelchair assessment? Do you know what questions to ask? Do you know what information to come prepared with? The RESNA Wheelchair Service Provision Guide link is provided for your convenience to provide additional detail and information for review prior to your own appointment. It is a guide, and therefore is not a standard, but can be helpful in making sure all important elements that are important to you are addressed. This should guide your thinking in terms of when and where you might want to use your equipment, what you want to be able to do with your mobility device. The more you share about your goals and objectives, the better the professional can help suggest successful equipment solution. Clinically, the therapist or other professional should review and evaluate your body structure and functional needs. It should address your current and past mobility status, how it might be changing due to the disease process or aging. 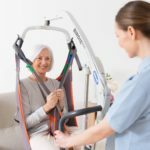 They should evaluate your postural support needs, health issues, safety with use of equipment, how you transfer and what other equipment you use to meet your daily needs. The therapist or specialist should be able to assess your posture with regard to the shape of your pelvis and spine, sitting balance, skin integrity, sensation, joint range of motion, tone/spasticity, coordination, vision, cognition,and strength only to name a few. Activity and Participation refers to your primary mobility goals. 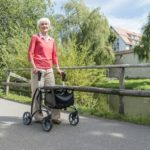 What are you hoping to do with and from your mobility device? What are the activities to be performed from the chair, bathing, dressing, grooming, meal prep, community mobility, work, school access? What equipment did you previously use or try? What did you like about it, what didn’t you like? What are the non-negotiable features that are the most important to you? This is a give and take process so depending on what features are needed, some may work, some may not be able to be accommodated so be sure to advocate for the most important. 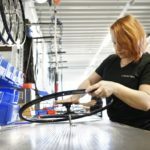 This is where you begin to consider the type of frame, the design, the options offered on each, seat components, can it be configured to meet your body type and size. What other technology needs to be integrated? Add on power- assist to a manual chair, or Speech device to a power wheelchair? Will it work with the type of transfer device you have? See the following link for what to consider in the selection of a power chair base with regard to indoor function. Give some thought to the primary environment where you need to use the equipment? What type of environment do you live in? Is it smooth or rough surfaces? Hills or high curbs? Are there wide entry/exit points, room to manuever and make tight turns in smaller spaces? At what height does the seat need to be to either reach above or be low enough to fit under tables or work with existing drive controls in an adapted vehicle. How will the chair be transported? Does it fold to go in the boot of the car? Does it require a lift into a vehicle if it’s a power chair? If possible it is best to trial the device before it is prescribed to be sure it will work for you in every aspect of your life. Not every exact make and model will always be available but the closest model to the one being prescribed should be tried and then used to make final decisions of design, features, and sized according to your body measurements. If able, go outdoors to try a variety of surfaces, inclines, like curbs to the ones you will face. The seating cushion and back should also be trialed, if possible for more than the visit, ask for a possible 2-3 day trial at home to check skin, posture, transfers on/off the cushion, especially if different to the one you have been using. BE sure to ask if the therapist and dealer will be meeting with you at DELIVERY, SET-UP appointment to ensure proper fit, make adjustments, explain usage, and necessary maintenance and what to do when it is more serious performance issue, ie. When to call the supplier for professional help. There is never a “stupid” question! Do not hesitate to ask questions during the assessment or after you leave the appointment and are unsure. Here are just a few sample questions, then refer to the Wheelchair Service Provision Guide for a more comprehensive review. I used to have an open, “cantilever” manual wheelchair frame, but I no longer need to transfer it into my car since I purchased a van, what advantages would a “closed” frame with extra support bar on the main frame provide me? I have always used “sling” upholstery in my manual chair, but it “sags” and I feel unbalanced. How can I manage to prevent the sag in my seat and backrest. I do have back pain but I don’t know if it’s associated with the seating? I think my backrest is too high for me? I feel like it impacts my propulsion. How can I know if it is right for me? Lois Brown, MPT, ATP/SMS is an Assistive Technology Consultant with GTK in Sydney. Lois was trained in the US as a physical therapist and has 24+ years of experience as a Mobility and Seating and AT specialist. Lois has held a variety of roles in the field including as a prescribing therapist, director of Medicare review, prescribed chairs for a US National dealer, Manager of Clinical Education and also a Channel Manager of Mobility and Seating for a wheelchair manufacturer. Lois has contributed to the design of seating, mobility and AT equipment as well as funding advocacy in the US at a Congressional Level. Lois has presented Internationally on Wheeled Mobility and Seating and Assistive Technology, including International Seating Symposium, European Seating Symposium, CSMC (Canadian Seating & Mobility Conference) and RESNA (Rehab Engineering Society of North America). Lois has been published in a variety of Rehab Publications and is considered an expert in her field.